The wonderful world of webcasting can be a complicated place; whether you’re a seasoned pro or this is your first foray into webinars, it is a world full of programming language, unique acronyms, technical terminology, and complex specifications. It is an ever-evolving landscape and even those of us who have worked in this space from the start are constantly learning and adapting. That’s why we have created the 247 Webcasting Knowledge Bank. 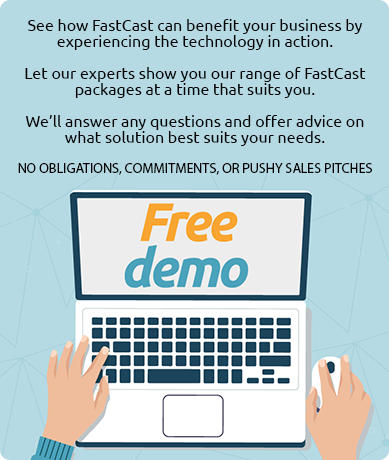 A comprehensive suite of hints, tips, explanations, instructions, guides, advice, and updates, all designed to enhance your webcasting experience, and maximise the effectiveness of your webinars. We proactively keep track of the webcasting world as it evolves so you don’t have to. We then pass on to you our knowledge and expertise, and keep you updated with what we think you need to know in a full range of jargon-free resources … and if we can’t avoid the jargon, we will do our best to explain it.